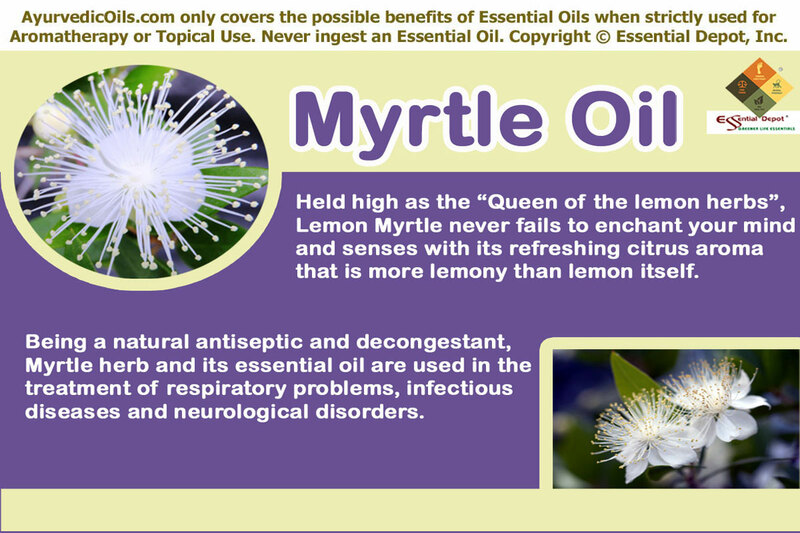 Acclaimed as the “Queen of the lemon herbs”, Lemon Myrtle often called as just Myrtle seldom fails to enchant your mind and senses with its refreshing citrus aroma that is more lemony than lemon itself. This is because lemon has only 3-10% citral content while Lemon Myrtle contains about 90-98% citral, contributing to its unique, uplifting lemony fragrance. Scientifically known as Backhousia citriodora, the essential oil is extracted from the aromatic leaves and twigs of this plant. 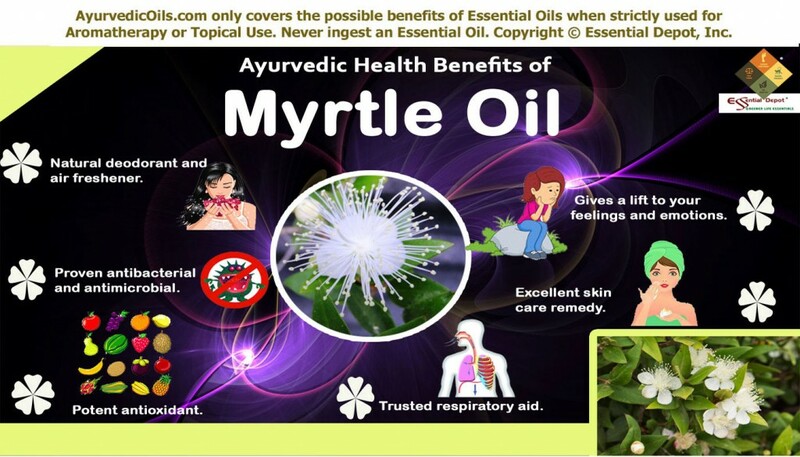 Celebrated as a natural antiseptic and decongestant, Myrtle herb and its essential oil are used in the treatment of respiratory problems, infectious diseases and neurological disorders in Ayurveda. Native to Australia, Lemon myrtle is one among the few favorite Australian essential oils and it is said that the Indigenous Australians used Lemon myrtle as a remedial and culinary herb. The ancient Egyptians used the leaves of this plant to treat fever and other infections. Myrtle has been mentioned in the Greek mythology as a symbol of love and divine generosity. It was considered sacred to the Greek Goddesses Demeter and Aphrodite. Myrtle is also said to have been mentioned in the Bible directly for about six times. In Isaiah 41:19 it is said “I will plant in the wilderness the cedar, the shittah tree, and the myrtle, and the oil tree; I will set in the desert the fir tree, and the pine, and the box tree together.” Greek physician Dioscorides recommended Myrtle oil for his patients to treat bladder and lung infections. This herb has also been in use in many traditions for treating respiratory tract ailments and skin disorders. Lemon myrtle essential oil has analgesic, antiseptic, anticonvulsant, antimicrobial, expectorant, tonic, antifungal, decongestant, sedative, anti-neuralgic, astringent and anti-rheumatic properties. 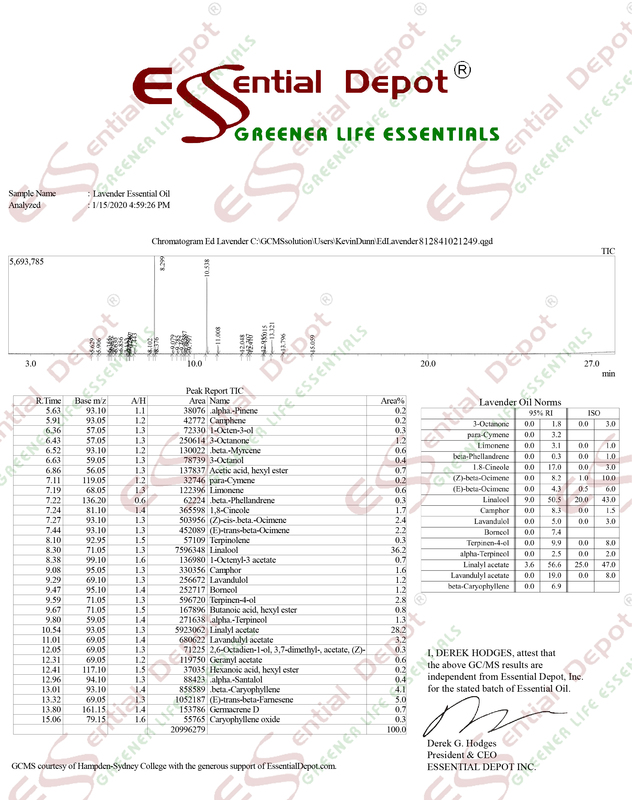 The major chemical components are terpenoid aldehydes like citral, geranial and neral along with the trace constituents linalool, methyl-heptenone, d-isopulegol, myrcene, cyclocitral and citronellal. Ayurveda is a holistic healing principle that trusts on nature and natural remedies for treating human illnesses. This ancient philosophy states that human beings are part of nature and their illness and wellness depend upon their body’s balance with nature. Sickness according to the Ayurvedic texts is a signal indicating that the human body is out of balance with nature. Ayurvedic beliefs consider disease as an opportunity to repair, revamp and restore the body’s complete health back into balance. Every individual is unique with a specific set of energy elements that make up their individual constitution. These vital energies are known as doshas, namely pitta, vata and kapha doshas. The predominance of any one of these doshas determines the attributes and behavior of an individual. Ayurvedic remedies are based upon dosha predominance and Ayurvedic treatments vary from individual to individual even for the same illness. It prescribes holistic remedies in the form of herbs, essential oils, healthy and nutritious diet, yoga, simple physical exercises, meditation along with an Ayurvedic routine for disease prevention and attaining longevity. Myrtle essential oil is known to pacify kapha and vata doshas and increase pitta. Lemon myrtle essential oil is regarded as a remarkable antimicrobial, antifungal and antibacterial agent with its clean, refreshing and pure citrus aroma. Certain studies have proved that Lemon myrtle oil possess significant antimicrobial power against harmful organisms like Staphylococcus aureus, Candida albicans, Escherichia coli, Pseudomonas aeruginosa, Aspergillus niger and Klebsiella pneumoniae. Add 2 drops of this oil along with olive oil to treat infections and diseases due to bacteria, fungi and other micro-organisms. You can apply this blend topically on the affected parts in case of athlete’s foot, ringworm, wounds and other skin problems. This oil heals and protects the wound from being septic as it fights against Staphylococcus bacteria that is responsible for making wounds septic. 1to 2 drops of Lemon myrtle oil added to a cup of warm water can serve as an excellent gargle for fresh breath and for helping with raw throats. Using 2 drops of this oil in your diffuser or in bath can give you a long-lasting feeling of freshness. The decongestant and expectorant properties of Lemon myrtle oil acts effectively in treating chest congestion, flu, cold, bronchitis, asthma and sinus infections. Adding 3 drops of Lemon myrtle oil in steam inhalation can assist in alleviating headache, loosening mucus and phlegm deposits in the lungs and respiratory passages. The therapeutic molecules in this oil aids in controlling the increase of infectious particles that worsen cold and cough. Certain anecdotal evidences witness that the expected number of cold, cough and sinus problems are lower in households that regularly use Lemon myrtle oil in aroma lamps. You can also add 2 drops of this oil to your vaporizing ointment and gently massage onto your chest, back, forehead and throat for relieving from congestion and easing difficulties in breathing. Respiratory problems in general spoil your sleep at night, adding 2 drops of Lemon myrtle oil in hot bath especially before bed will help in promoting peaceful sleep at night. Lemon myrtle essential oil has shown antioxidant properties that help in fighting against free radicals responsible for the growth of malignant tumors and other cancerous growths. This oil has potent antioxidant and antimicrobial effects that help combat food borne human pathogens and free radicals. Several studies conducted by the Charles Sturt University, Australia have proved Lemon myrtle as an effective germicidal and antibacterial oil than tea tree oil in treating skin ailments and other health conditions. This is mainly because of its antiseptic and skin-friendly properties. Lemon Myrtle essential oil is an excellent oil for treating acne and oily skin. Mix 2 drops of Lemon myrtle oil with your skin care lotion and apply it on your acne, cold sores, warts, wounds and insect bites for soothing relief. 2 to 3 drops of this oil blended with olive oil can be used topically on rashes, neuro-dermatitis, tinea, psoriasis, folliculitis, candidiasis and itching. The essential oil extracted from Australian Lemon myrtle leaves have been proved effective in treating Molluscum contagiosum, a common viral disorder that affect the skin of children and sexually active adults as it is generally seen as a sexually transmitted disease. A 2004 study on ‘Essential oil of Australian Lemon Myrtle (Backhousia citriodora) in the treatment of Molluscum contagiosum in children’ where 9 out of 16 children with Molluscum contagiosum treated with 10% of Lemon myrtle essential oil showed 90% reduction in the number of lesions at the end of 21 days of daily topical application. The fresh, citrusy aroma of Lemon myrtle oil will never let you down for the entire day if you wear 1 drop of this oil on your wrist or add 2 drops in your refreshing bath in the morning. 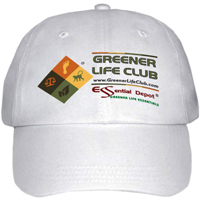 You can also add 1 drop to your hanky or add few drops to your deodorant to combat body odor. The antimicrobial properties in this oil absorb microbes in the sweat that causes bad odor. The clean scent of Lemon myrtle oil makes its use inevitable as an air purifier as it kills germs and other micro organisms in the atmosphere, making your home a better place to live in. Lemon myrtle essential oil is also fêted for its calming effects that uplift and revivify depressive thoughts and feelings of fear. Gently massaging the soles of your feet with 2 drops of Lemon myrtle oil blended with coconut oil can help you in conceding complete relaxation, alleviate stress, suppress negative feelings, induce better sleep and augment your self-confidence. You can also add 3 to 4 drops of this oil to your diffuser or aroma lamps for giving your mind the natural boost that it requires. Lemon myrtle leaves and its essential oil are also used in brewing tea, flavoring confectionaries, savories, syrups, candies, sauces, desserts, mayonnaises, shampoos, body lotions and mouth fresheners. It is also used as a protective shield in the food industry as Lemon myrtle oil is known to destroy food spoilage yeasts, bacteria and other pathogens. Avoid using essential oils internally. Always remember to dilute essential oils in suitable carrier oils as pure essential oils are highly concentrated liquids and may cause skin irritation or other side effects if used undiluted. Do not use Lemon myrtle oil before going out in sun as it has high phototoxicity effect just like other citrus oils. Always consult your Ayurvedic practitioner before using right essential oils for your health condition and unique constitution.